Groove to the beach tunes at the only beach music festival actually held on the beach in North Carolina or watch as kites of all shapes and sizes fill the sky at a kite festival. Gather and feast at a seafood, blues and jazz festival. Celebrate the holidays coastal-style at the Island of Lights Festival. 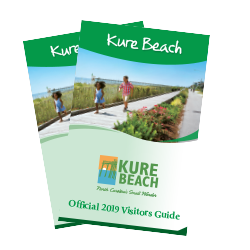 Kure Beach festivals bring all kinds of good times to your beach vacation.